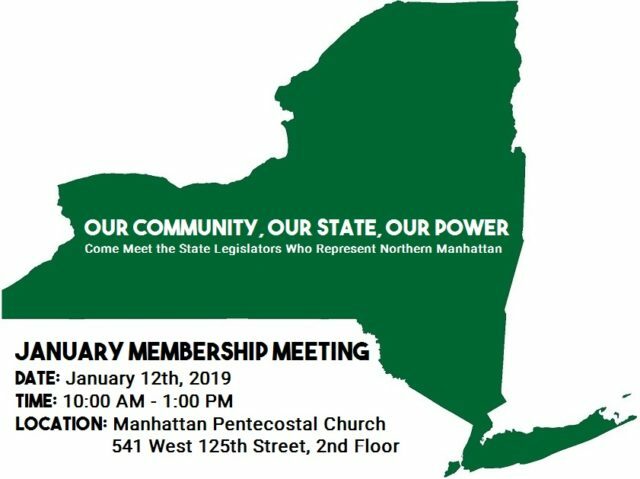 Our first membership meeting of the year will be on Saturday, January 12th at the Manhattan Pentecostal Church (541 West 125th Street, 2nd Floor) from 10:00 AM-1:00 PM. Building off our New York State policy discussion in November, we have invited State legislators representing our community to join us for a town hall. Please RSVP!